Distance: How far your dog can be from you without breaking the cue. Duration: How long your dog will remain in the cue. Distraction: How well your dog performs the cue with things going on around him. Start Simple, Keep Them LOW!  Distance is interesting, it can help or hinder your dog’s training. With a ‘stay’ cue, increasing distance ie walking away from your dog, makes it harder for the dog to maintain the cue. So start with a short distance and reward your dog often! 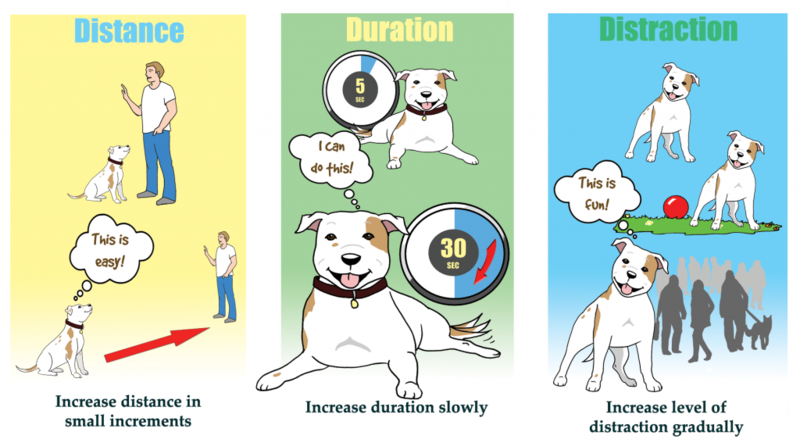 If you walk too far away too quickly ie the rate of reinforcement drops, the dog no longer finds the exercise rewarding and your training goes up in smoke! By contrast, in the case of a reactive dog, you want as much distance as possible from the ‘thing’ that is freaking out your dog. 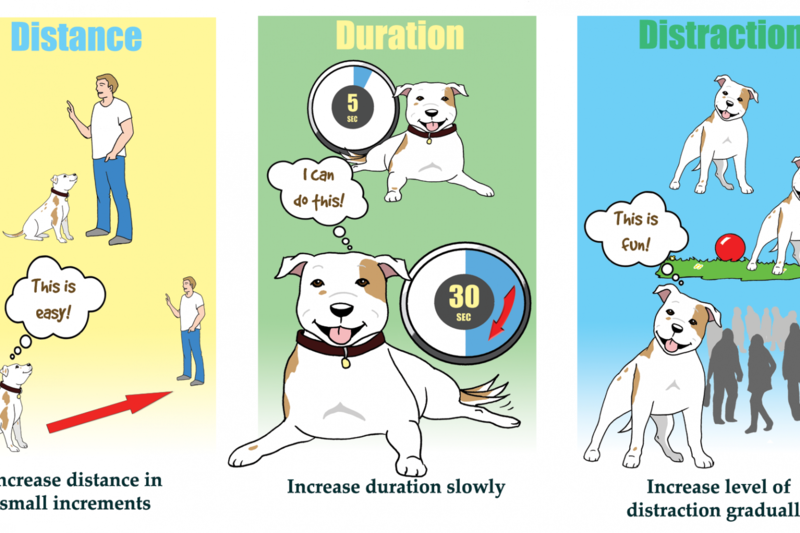 Duration ‘shorter is sweeter’ when training a behaviour! Keep your dog under threshold ie keep the length of time you ask your dog to stay in a sit or down short (at first). Gradually – and I mean gradually – build up the time/duration so you keep reinforcement high and make it a rewarding game for your dog to play. Distractions can be leaves blowing, squirrels, people, sounds, toys … or even us as we fiddle with our training pouches! Be aware of distractions and be realistic about what you can expect from your dog given those distractions. Remember if you haven’t trained it, don’t expect it. If your dog is breaking stays, not coming when called or reacting to other dogs consider your use of the 3D’s. 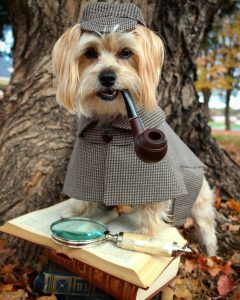 Channel your inner ‘Sherlock’ and analyse which of the 3Ds you can alter to help your dog succeed. Look for 80% reliability before increasing any of the 3Ds. Lower the distractions and you’ll find it easier it is to increase duration or distance. If you raise the distraction level – increase your rate of reward/reinforcement. Keep training sessions short & fun – 5 mins is plenty. Always end a session on a positive note.